A 60 minute class limited to 8 students. 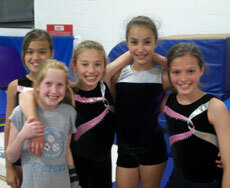 A Gym Girl will have the opportunity to be challenged and experience success on all types of gymnastics equipment. 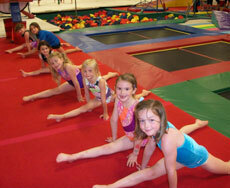 Basic gymnastics progressions on bars, beams, vault, tumbling, and trampoline will be the focus. 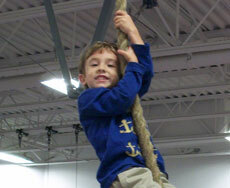 Safety training, body position, strength, and flexibility will all be emphasized. The benefit of this class will be enhanced physical development while experiencing a good feeling about oneself. Price is $210/9 Week Session. 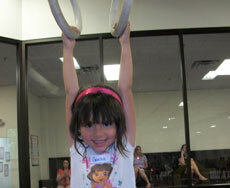 A Gym Girl II will have the opportunity to be challenged and experience success on all types of gymnastics equipment. 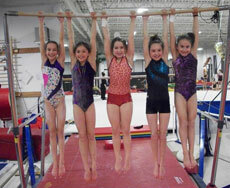 Basic gymnastics progressions on bars, beams, vault, tumbling, and trampoline will be the focus. 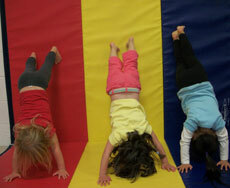 Safety training, body position, strength and flexibility will all be emphasized. The benefit of this class will be enhanced physical development while experiencing a good feeling about oneself. Price is $210/9 Week Session.